← RIP Fun, Fun, Fun, welcome Sound on Sound Festival! 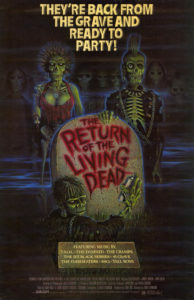 Okay so all you film fanatics, zombie freaks and old punk rock people, Scream Factory has FINALLY released a collectors edition on blue ray of “Return of the Living Dead” with the original film score intact. 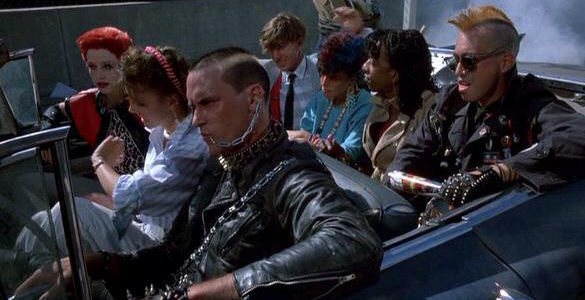 Break out the beer and have some friends over because, “Do you wanna party?” This film has been available for years on VHS and DVD but due to copyright problems with IRS i.e. Enigma Records it has had a sub par score that cut out all of the songs from bands like T.S.O.L, 45 Grave, The Flesh Eaters, The Circle Jerks and more were cut out. It’s still a great movie that captures a distinct moment in time but without the songs it was sort of like watching say “Singing in the Rain” with all the dance numbers cut out. 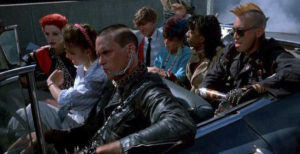 It’s also a historical moment of the “Zombie” sub genre, it’s the first movie in which the zombies wanted brains, and not just the flesh of the living. This is the direct connection to the manufacturer website, you can also purchase it at Best Buy or Amazon. 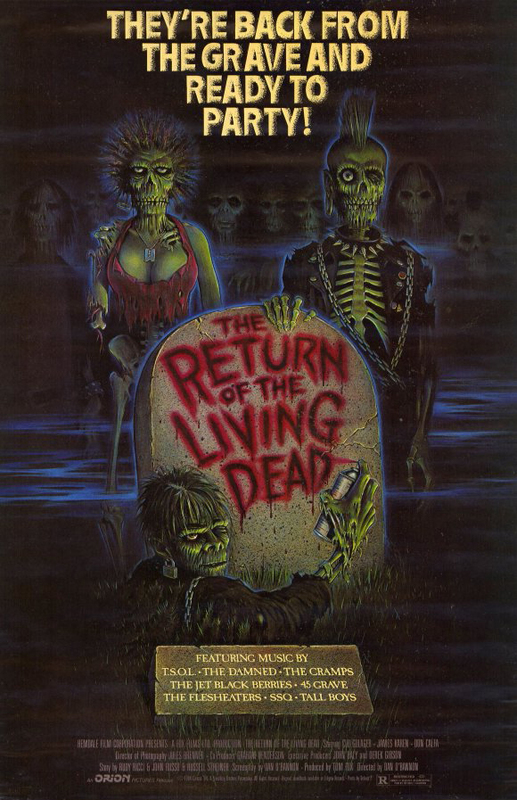 This entry was posted in film, Reviews and tagged 45 Grave, blu ray, Chris D, Circle Jerks, collectors edition, Dinah Cancer, Greg Hetson, return of the living dead, The Flesh Eaters, zombie films. Bookmark the permalink.